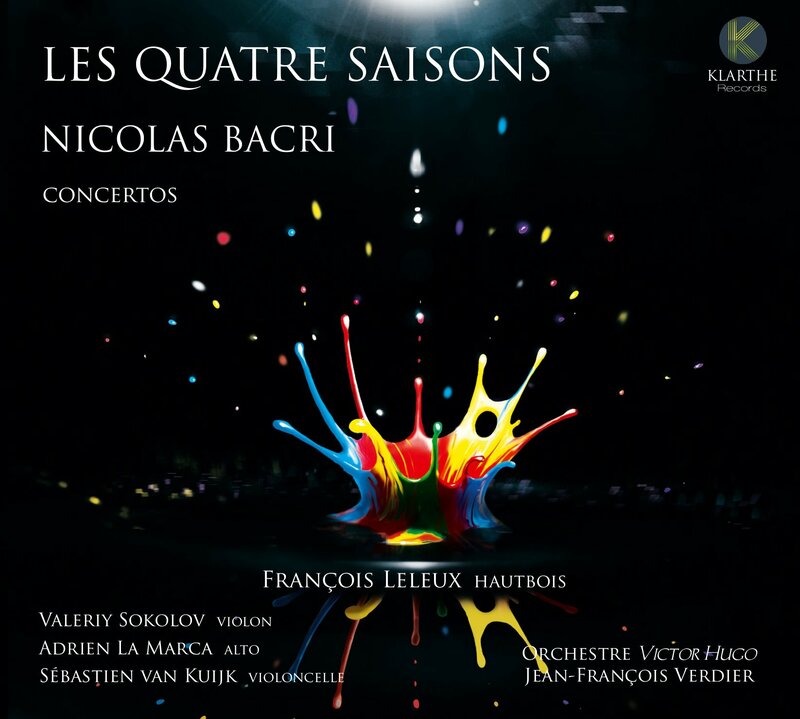 Nicolas Bacri revisits the seasons! The seasons have always been linked to the lives of men, inspiring fear, hope, pleasure or nostalgia, permitting them to find their place in the immensity of passing time... The great circle of life reigns, throughout different epochs and passing fashions. Such is the music of Bacri; free, lyrical, full of images and rhythm. 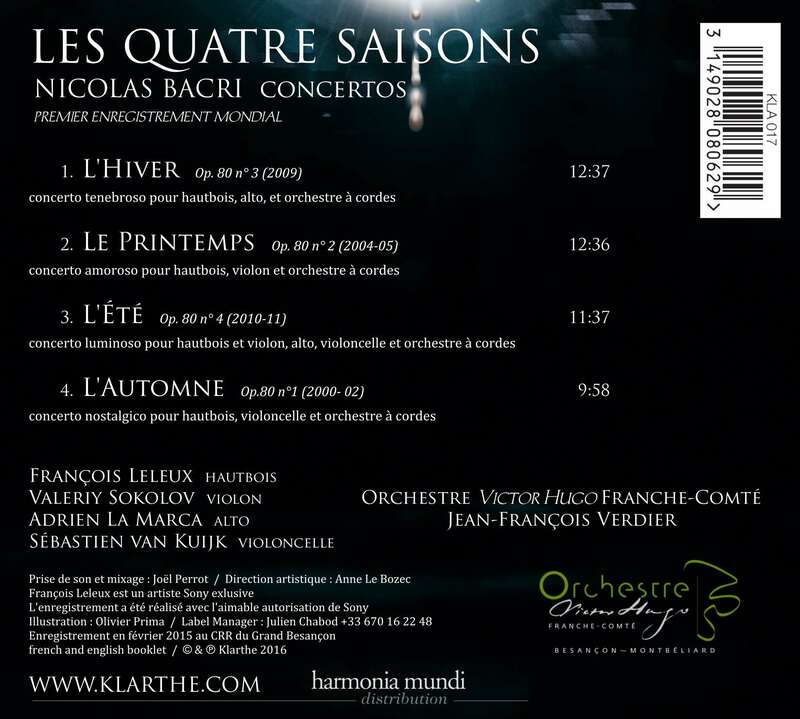 These four works are at last united, engaging the great oboist Francois Leleux and three stars of the bow to create an explosion of talent and life.